Product prices and availability are accurate as of 2019-02-22 17:35:10 EST and are subject to change. Any price and availability information displayed on http://www.amazon.com/ at the time of purchase will apply to the purchase of this product. 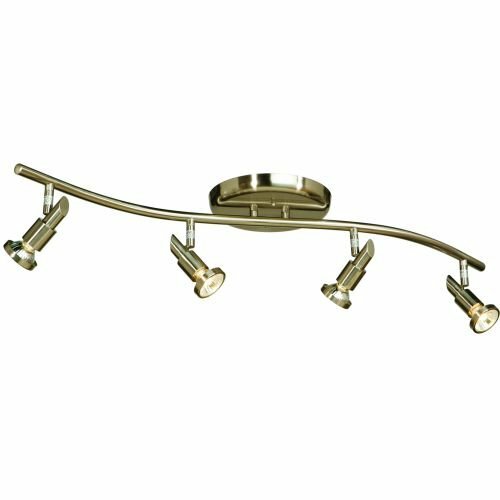 AC5834BN Finish: Brushed Nickel Pictured in brushed nickel Features: -Four light track light. Includes: -Includes two 6'' and two 12'' rods. Options: -Available in brushed nickel or oil rubbed bronze finishes. Specifications: -Accommodates (4) 50W GU10 bulb. Dimensions: -Overall dimensions: 5.5'' - 23.5'' H x 33.5'' W x 33.5'' D. Collection: -Shuttle collection.